Blog: Uber: Who Owns Whom? On Wednesday, March 11, U.S. district court judges in California denied motions for summary judgment in two separate cases involving Uber and Lyft that could mean massive changes in the rapidly developing on-demand services market. Both cases will go to jury trial. Both Uber and Lyft are the subjects of suits brought by drivers seeking classification as employees, claiming they have been misclassified as independent contractors. The classification of these drivers as employees could lead to massive changes to the existing Uber and Lyft schemes, as the companies could then be held responsible for reimbursing drivers for costs incurred incidental to providing rides arranged via the Uber and Lyft services. These suits come at an interesting time as labor disputes between drivers and rideshare companies have been on the rise of late. Recently, Uber came under fire in January for claiming to pay its drivers in New York city roughly twenty-five dollars per hour, while reports showed that estimate to be inaccurate, with the figure typically closer to nineteen dollars per hour. As a result, drivers have begun to move away from working exclusively for one service or the other, choosing instead to combine apps in order to take advantage of the differences. For example, drivers take advantage of Uber’s surge system—whereby fares rise based on demand—by using Lyft and turning off the Uber app during slow periods, and switching to Uber during surge periods. Some feel this is the best way to combat the expense of driving for one of these services, as drivers are responsible for gas, insurance, maintenance, and sometimes the purchase of a new-enough vehicle—all necessary expenses for Uber and Lyft drivers. In the cases brought against Uber and Lyft in the Northern District of California, juries will decide whether drivers have been correctly characterized as independent contractors. Drivers for both Uber and Lyft, seeking class-action status, argue that they are subject to the control of their respective services, as their fares are set and they are subject to termination for failure to follow certain rules. Uber and Lyft argue that their drivers are better classified as independent contractors because drivers have the flexibility to set their own schedules and choose their passengers. The ultimate outcomes in these cases may have far-reaching impacts on ridesharing services, as well as on other on-demand service companies and tech startups. Classification of Uber drivers—or perhaps on-demand grocery shoppers or housemaids—as employees would ultimately mean that these services would be required to pay for employee benefits and pay into state unemployment programs, clearly increasing overhead costs. Such changes could stifle the burgeoning startup on-demand service market, especially as the more traditional service sector has begun adopting similar customer-friendly policies. See Ellen Huet, Juries to Decide Landmark Cases Against Uber and Lyft, Forbes (Mar. 11, 2015, 8:21 PM), http://www.forbes.com/sites/ellenhuet/2015/03/11/lyft-uber-employee-jury-trial-ruling/. See Katy Steinmetz, Uber, Lyft Lawsuits Could Spell Trouble for the On-Demand Economy, Time (Mar. 12, 2015, 2:11 PM), http://time.com/3742608/uber-lyft-lawsuits/. See Huet, supra note 1; Steinmetz, supra note 3. 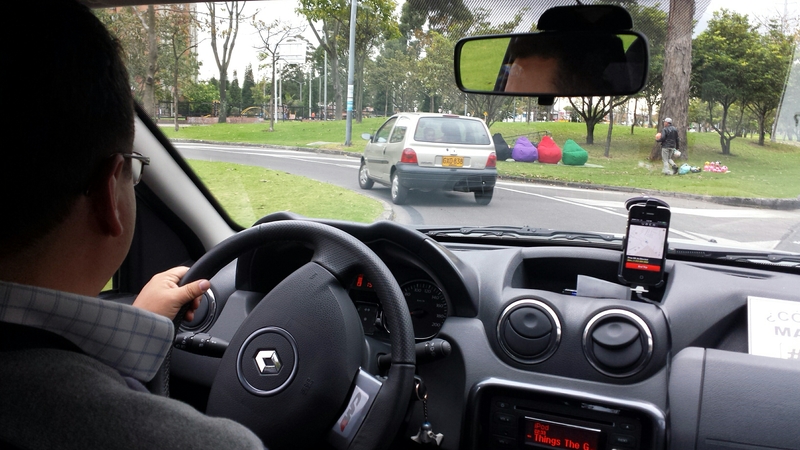 See Brian Fung, Why Drivers are Winning the Labor War Between Uber and Lyft, Wash. Post (Mar. 3, 2015), http://www.washingtonpost.com/blogs/the-switch/wp/2015/03/03/why-drivers-are-winning-the-labor-war-between-uber-and-lyft/. See Steinmetz, supra note 3. See Huet, supra note 1; see also Ellen Huet, How Uber’s Shady Firing Policy Could Backfire on the Company, Forbes (Oct. 30, 2014, 10:00 AM), http://www.forbes.com/sites/ellenhuet/2014/10/30/uber-driver-firing-policy/ (describing how Uber drivers may be “deactivated” under no clear policy and with little to no warning). See Huet, supra note 1. See Bob Egelko, Court: Juries to Decide if Uber, Lyft Drivers Are Employees, SFGate (Mar. 11, 2015, 6:42 PM), http://www.sfgate.com/bayarea/article/Juries-to-decide-whether-Uber-Lyft-drivers-are-6128899.php. See id. ; Huet, supra note 1. See, e.g., Taylor Soper, Taxi Companies Adopt New Apps to Keep Up with Uber, Lyft in Seattle, GeekWire (Mar. 9, 2015, 3:40 PM), http://www.geekwire.com/2015/taxi-companies-adopt-new-apps-to-keep-up-with-uber-lyft-in-seattle/. Tim Fernholz, Uber and Lyft Drivers Want To Be Paid Like Employees, Not Contractors. But What if They Are Neither?, Quartz (Mar. 12, 2015), http://qz.com/361293/uber-and-lyft-drivers-want-to-be-paid-like-employees-not-contractors-but-what-if-they-are-neither/.